I just read the news from AsianModelsBlog that the average circulation number for US Vogue is 1,647,872 as calculated from the last quarter of the year. That is an increase from 1,301,575 in March and 1,224,131 in June. The numbers still came in threatening because no matter how much it rise or fall, it doesn’t seem to be going below a million. 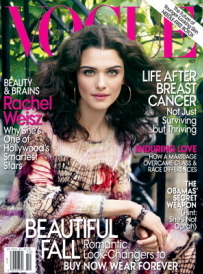 To think more about it, there are not many other editions of Vogue that can even cross over the half million benchmark. Ok, none of them actually, they are only around 5 or 10% of US Vogue’s circulation. Which means, in the end of the day, despite all those rumours and criticism, Anna Wintour is still the inevitable queen of fashion magazines. Powerful. The truth is Vogue’s the best and Anna’s Queen. All this recent Denial should be put to rest! Apparantly people loves the celebrity US Vogue? 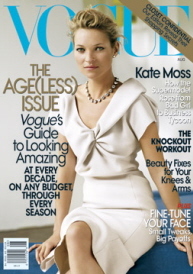 Kate Moss is to me more like a celeb than a model these days. I added new information on the number of advertising pages in Vogue. 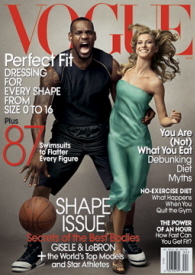 VOGUE is not a magazine !!! Vogue Spain circulation is 121.322 according to OJD, so get your facts right please. thanks, sorry for the mistake. it’s corrected.